Scotland’s most thrilling scramble traverse – a Grade 2 route along a knife-edge arête – offers the very best views of Glencoe. The beauty and drama of the Cuillin Ridge draws people from far and wide. Sample its delights with a route to the highest peak. If scrambling’s your thing, this well-known loop above the Ogwen Valley is an essential day out. 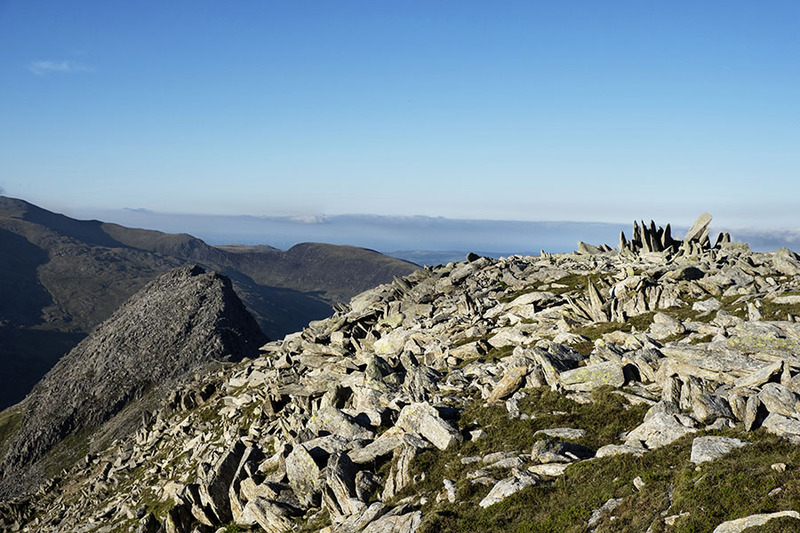 What do you get if you combine Wales’ highest peak with its most dramatic ridge? Snowdonia’s finest mountain day. If you’re looking to add a touch of adventure and adrenaline to your Langdale Pikes hike, look no further than Jack’s Rake. Escape the crowds in the rolling hills of the Black Mountains with an overnight trip to a splendid little bothy. Wainwright’s Pennine journey got this bit wrong! It’s a high-level leisurely pub-to-pub walk with a proper excuse to stop at the famous Tan Hill Inn! Need help with OS Maps? Try the OS Maps online FAQ and OS Maps quick start guide for further assistance.